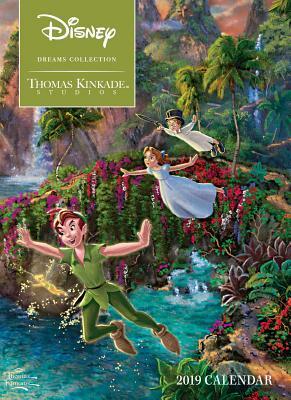 The Thomas Kinkade Studios: Disney Dreams Collection 2019 Engagement Calendarâ€‹ is a wonderful hardcover planner filled with the delightful art from the Disney Dreams Collection by Thomas Kinkade Studios. This engagement calendar has concealed spiral binding, a full-color image on each weekly planning spread, monthly grids, front and back pockets, and space for names, addresses, and notes. Thomas Kinkade, the celebrated Painter of Light, is the most widely collected artist in the world. His tranquil, light-infused paintings affirm the basic values of family, home, faith in God, and the luminous beauty of nature.